Turn off your lights in your time zone to be a part of the global movement for sustainability. Earth Hour is one of my annual favorite eco-holidays. 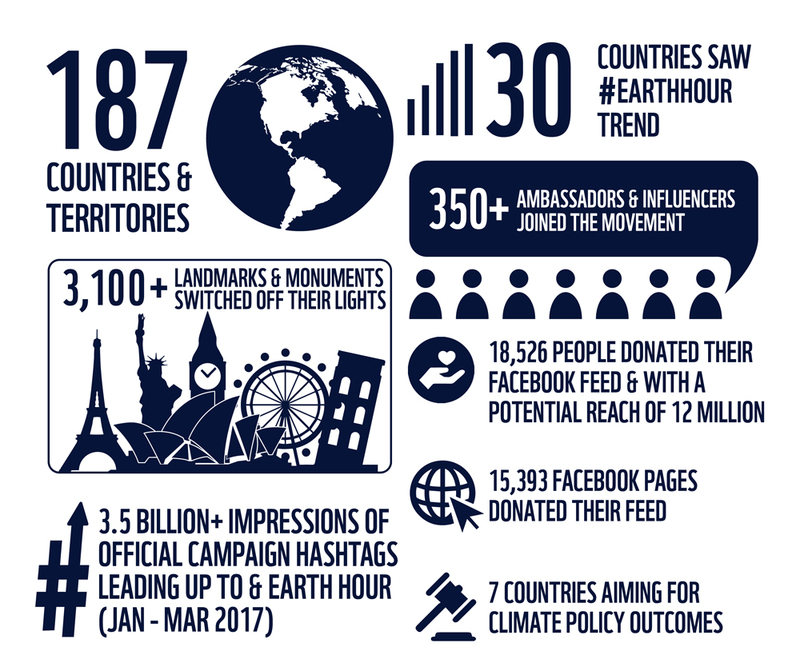 I've been participating and writing about Earth Hour since 2009...which would make this our 10th year (out of World Wildlife Fund's 12 years of Earth Hour). I like that it's a way of purposeful taking part in something bigger than ourselves--uniting people to emphasize the importance of protecting the planet. Additionally, it's a way of purposefully unplugging for an hour. Yes, we can do it--and if you look at everyone making small steps simultaneously, then you start to see the depth of that impact in a big way. This video gives an insight as to what Earth Hour is all about and why you want to participate by turning off your lights. 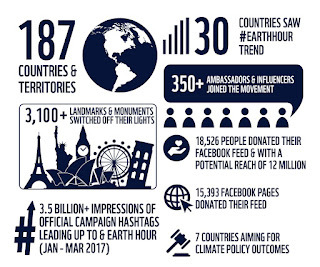 Go to Earth Hour's website to learn more, get their marketing logos & banners, check out their blog, and download their toolkits for communities/organizations, schools, scouts, individuals, corporations, and hotels. What are you going to do for Earth Hour? 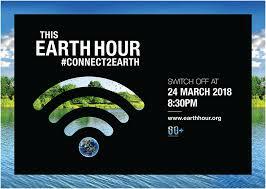 Send the video and web site www.earthhour.org around to your family & friends and pass the word to #Connect2Earth! Stock up on candles and light them up as you knock out all your other lights at 8:30 pm. Unplug and have some good ole fashioned non-tech time. Play a game of night time Hide & Seek. Have a candlelight dinner... perhaps al fresco. Roast some marshmallows over a bonfire with good friends. Spend some time in reflection and meditation. Play board games with your family by flashlight. Take time having great conversations and quality time with someone you love. ...the sky is the limit! Create your own fun! Let me know what you are planning to do!